Okay what is the dish on these? To me? They looked like bird seed! I used them for the first time this morning making homemade popsicals. (Recipe coming soon as long as they turn out yummy!) Now I had no idea what health benefits that you got from them so I had to do some research and figure it out. It was pretty surprising how good these bird seed like seeds are for you! So here the information I found on them. If you haven’t used them I think it wouldn’t hurt to give them a try and if you have what are your favorite ways to use them? Ch-ch-ch-chia! The fuzzy green novelty items may be the first thing you think of when you hear the word chia, but these tiny superfood seeds are the reason Chia Pets get their lush coating. 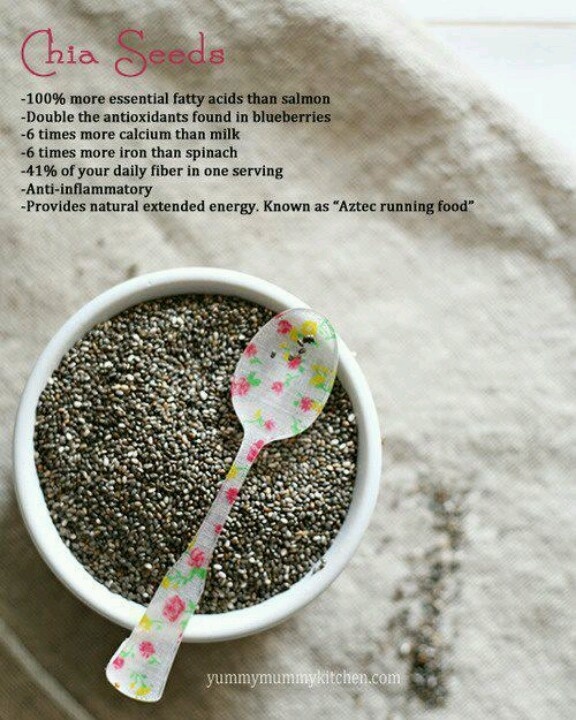 Nowadays, chia is becoming better known as a great source of healthy omega-3 fats and fibre, and fortunately it’s an easy food to add to your diet. The little seed — which comes in either white or a dark brown and black color — also has a huge nutritional profile. It contains calcium, manganese, and phosphorus, and is a great source of healthy omega-3 fats. 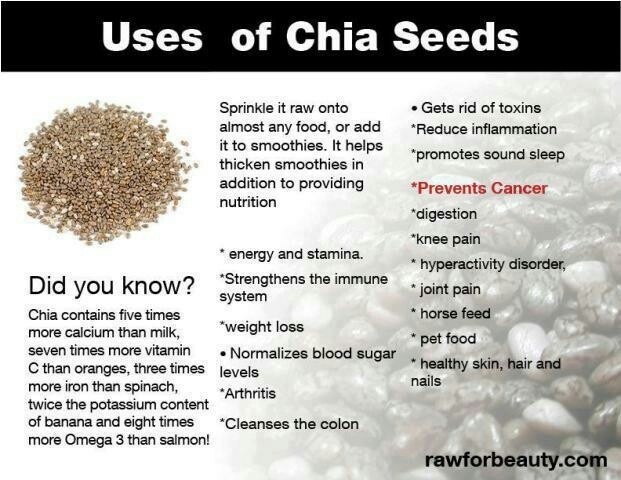 As an added benefit, chia seeds can be eaten whole or milled, while flax seeds have to be ground before consumption in order to access their health benefits for example.